Why do pear tree leaves curl? Pear trees are hardy, long-lived fruit trees that usually produce fruit for many years with minimal care. 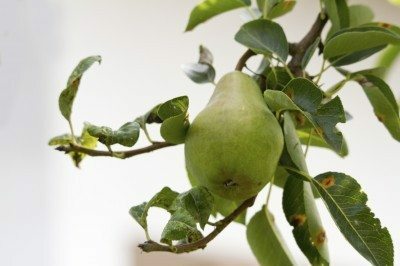 However, they are sometimes susceptible to diseases, pests and environmental issues that cause leaf curl on pear trees. 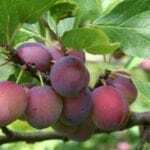 Read on for possible reasons for curling pear tree leaves, and tips for pear tree leaf curl treatment. Why Do Pear Tree Leaves Curl? 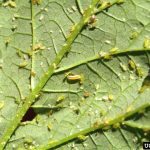 A native of Europe, the pear curling leaf midge has found its way across most of the United States since it first arrived on the East Coast in the 1930s. It is often responsible for curling pear tree leaves in young trees. This small pests pupate in the soil, and then emerges to lay eggs on new, unfurled leaves. When the eggs hatch, the larvae feed on the leaves for a couple of weeks before dropping onto the soil where they wait to start a new generation. Although the pests are small, they can cause serious damage to young trees, evidenced by tightly rolled leaves and red swellings (galls). Eventually, leaves turn black and drop from the tree. To control the pests, remove rolled leaves and dispose of them properly. Severe infestations can be treated by application of organophosphate insecticides. Damage is generally not significant on mature trees. Often known as fire blight, pear tree leaf blight is a highly destructive bacterial disease. Curling pear tree leaves is only one sign. If your tree has fire blight, it may also display brown or black leaves, blooms with a water-soaked appearance, discolored bark and dead branches. There is no cure for pear tree leaf blight, but pruning of infected branches may staunch progress of the disease. Certain chemical antibiotic sprays may be effective when applied before development of symptoms. Aphids are tiny, sap-sucking pests that attack primarily young, tender growth. They are often controlled by aiming a strong stream of water directly at the leaves. Otherwise, insecticidal soap spray is a safe, effective solution that can be repeated as needed. A variety of enjoy dining on pear tree leaves, often rolling themselves tightly in the protective shelter of the tender leaves. Encourage birds and beneficial insects to visit your garden, as they sometimes eat the pupae and larvae. 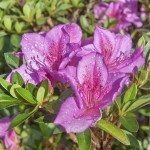 Look for rolled leaves and other signs of damage and prune as needed. Heavy infestations may require chemical control. Wilted or curled pear tree leaves may be a sign that your tree isn’t getting enough water. 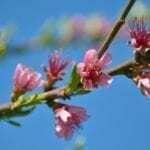 According to many resources, young trees need about a gallon of water every seven to 10 days during normal conditions. During hot, dry weather, however, your trees may need double that amount. Established trees rarely require supplemental irrigation, but drought-stressed mature trees benefit from an occasional deep watering.